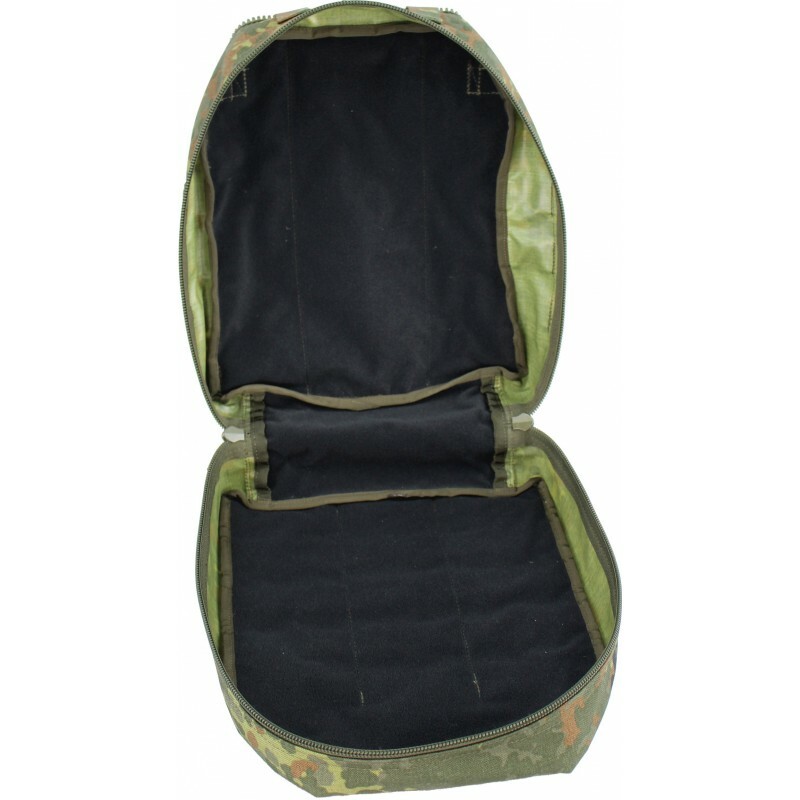 Vulcan II Storm ZIP Bag SU can be opened completely and is equipped with velour. 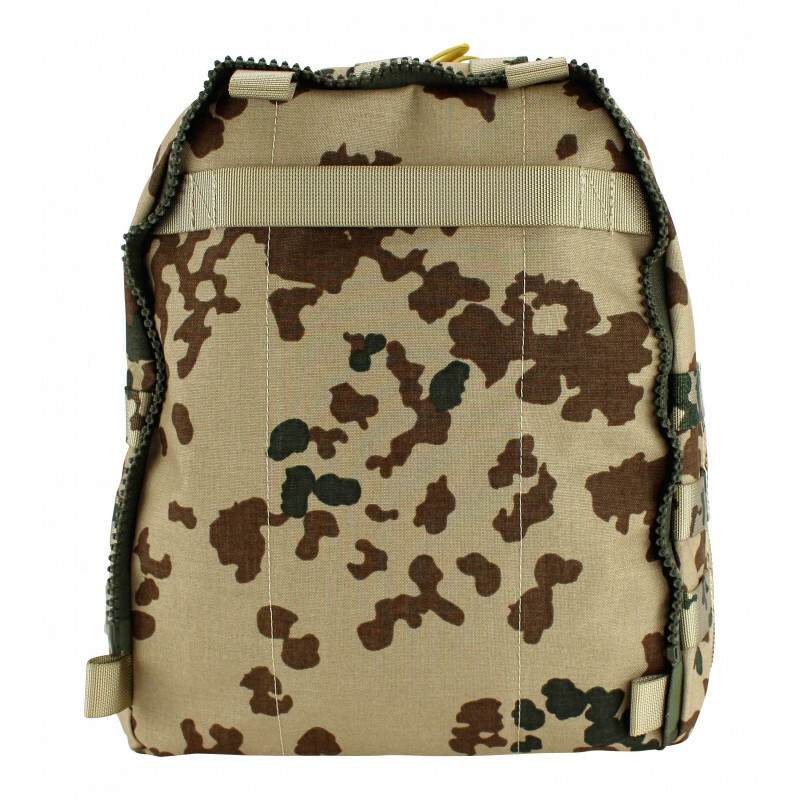 MOLLE loops and patch surface are attached to the front. 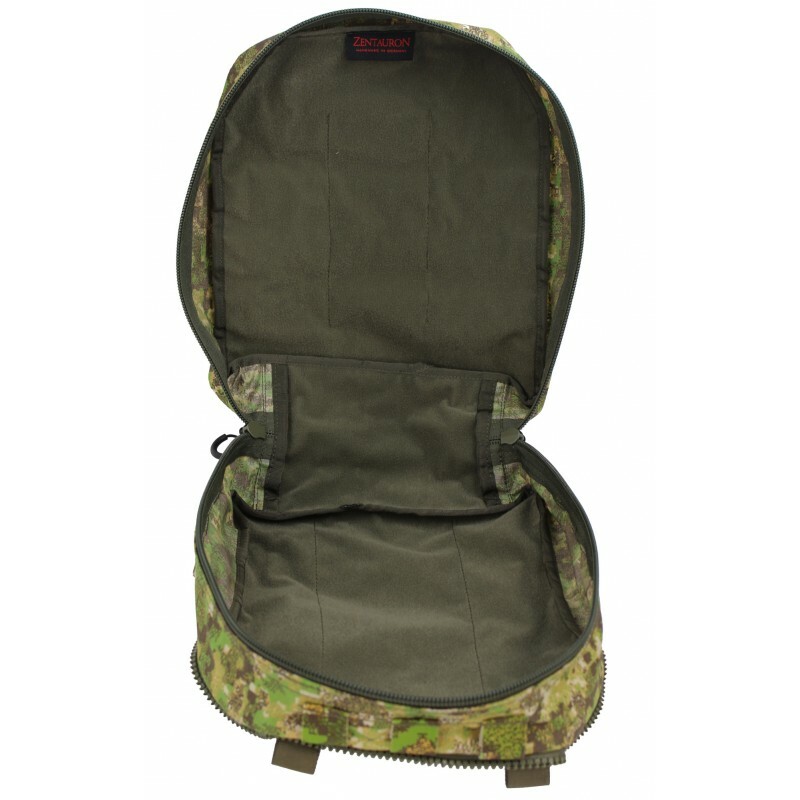 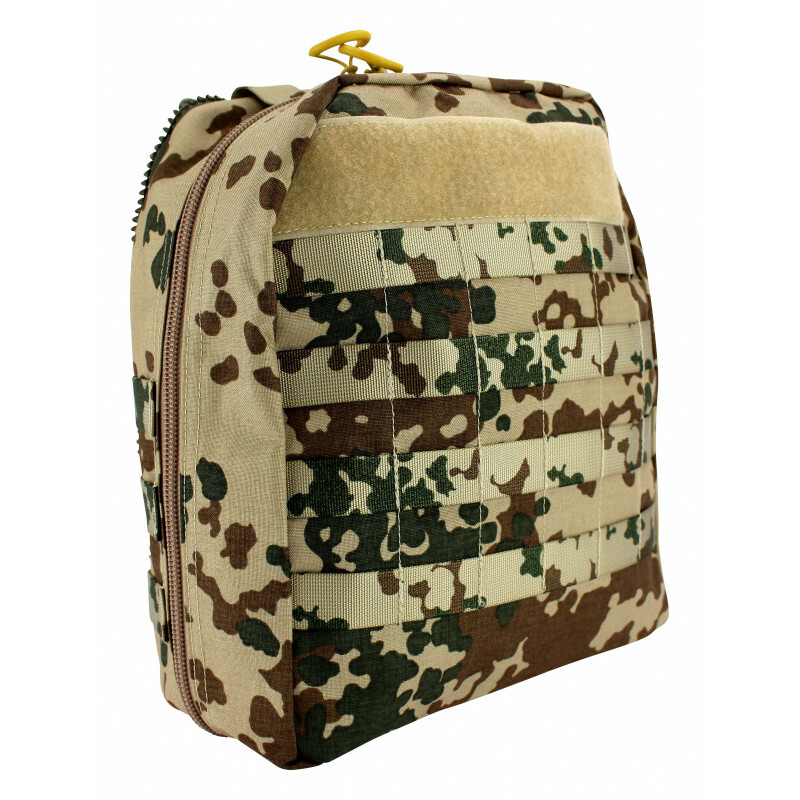 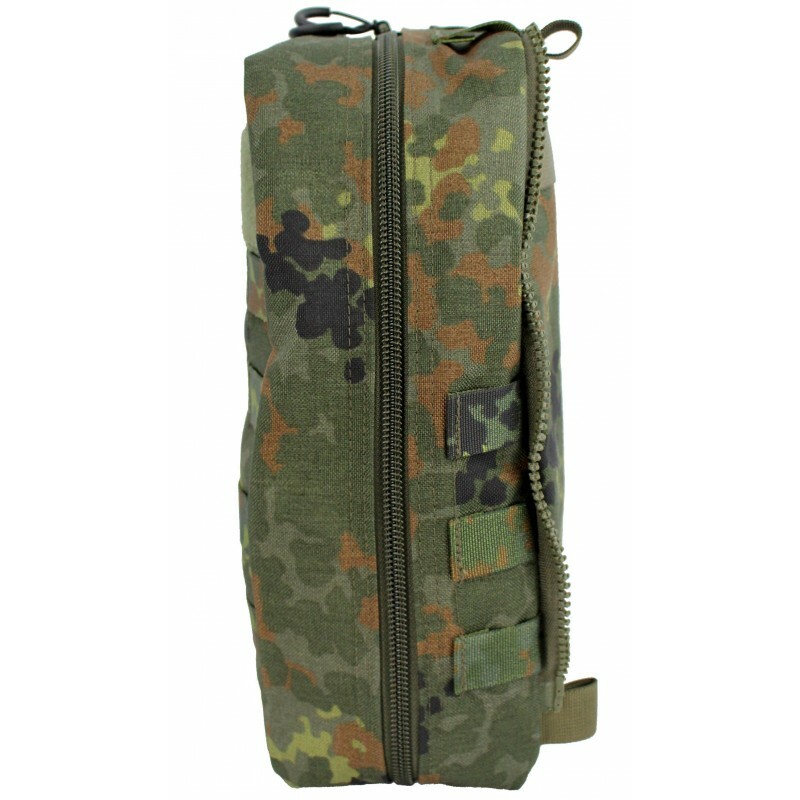 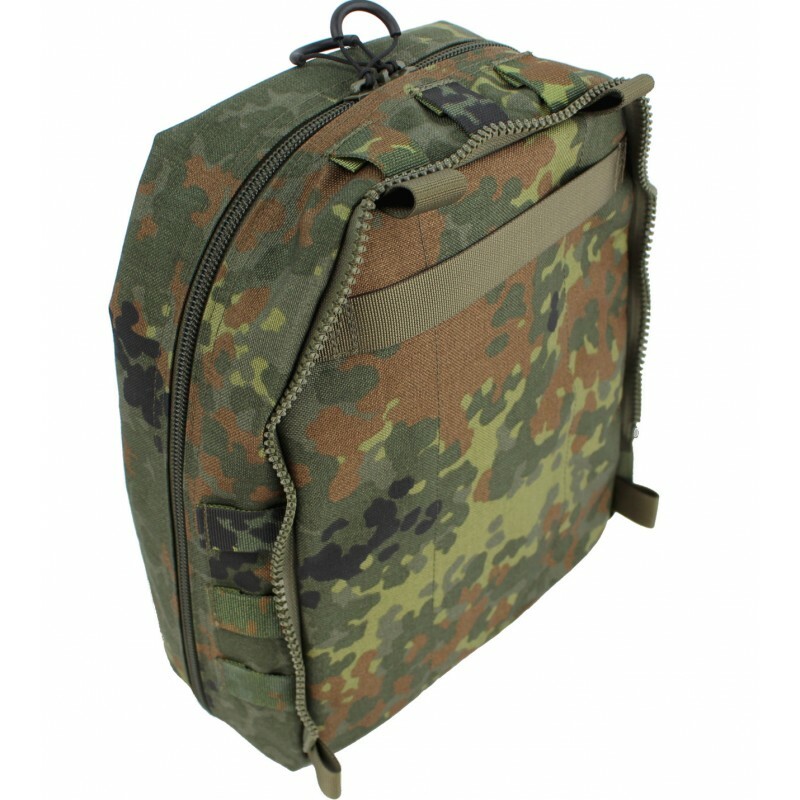 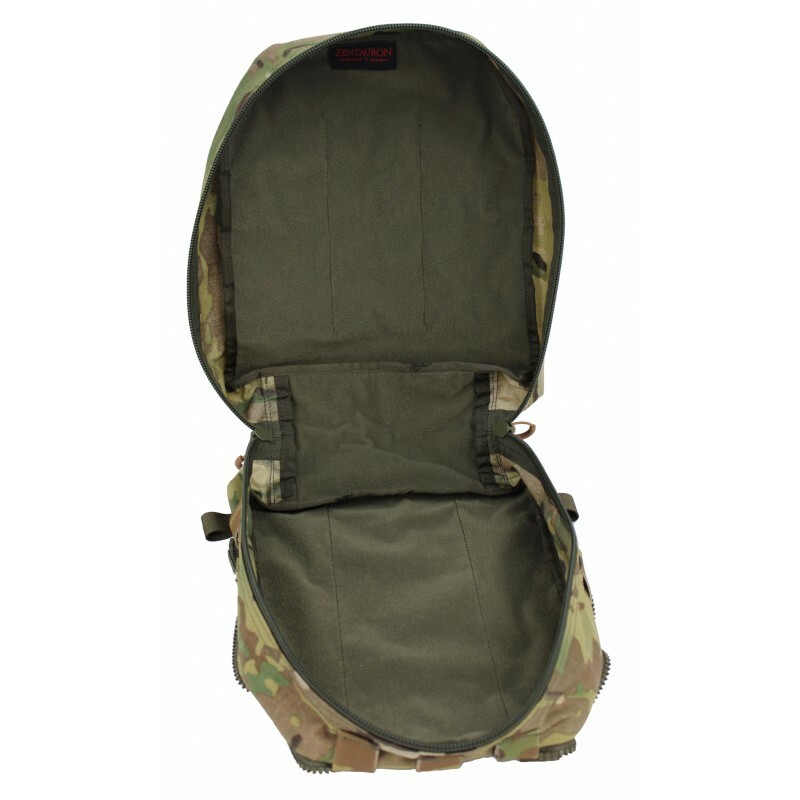 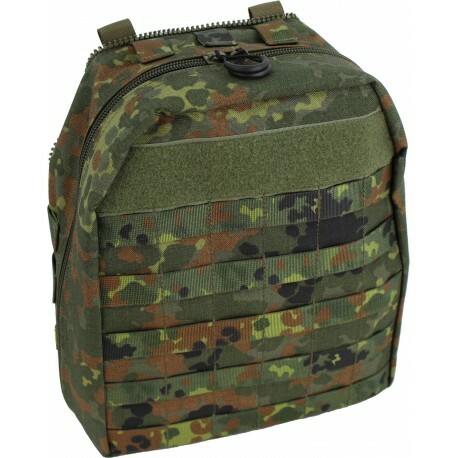 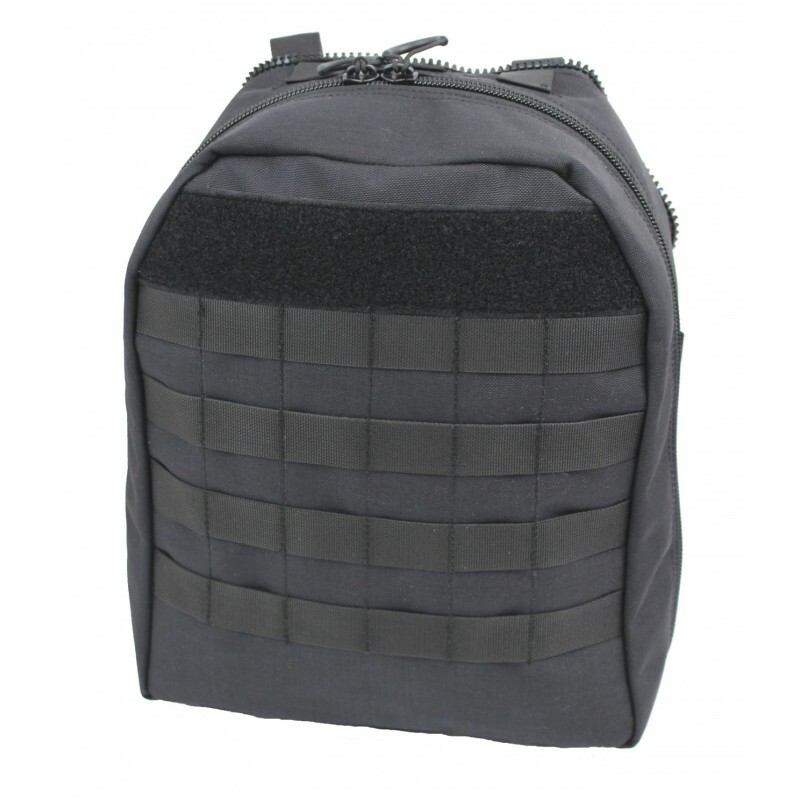 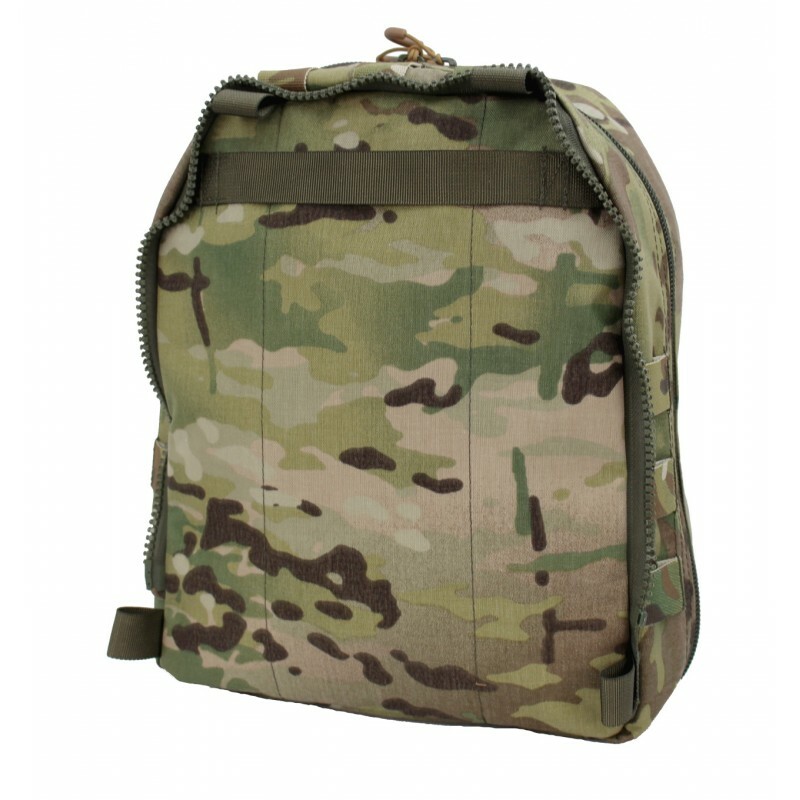 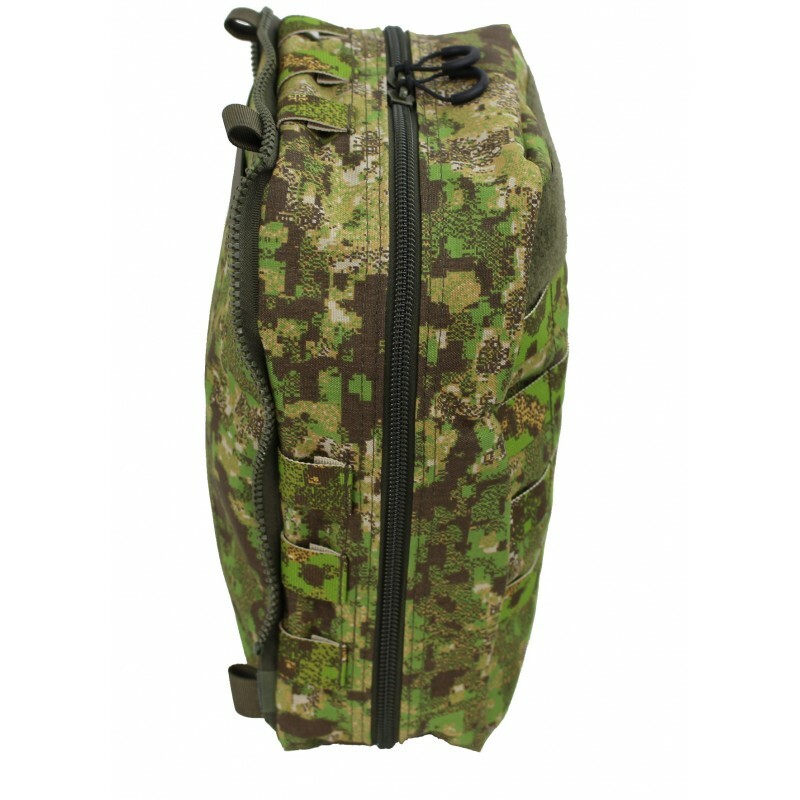 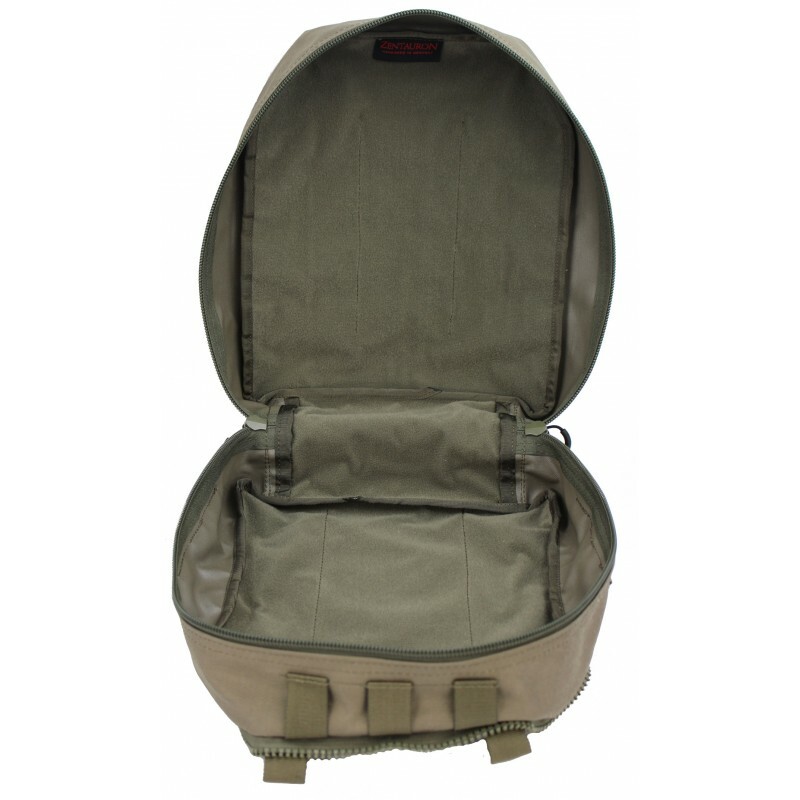 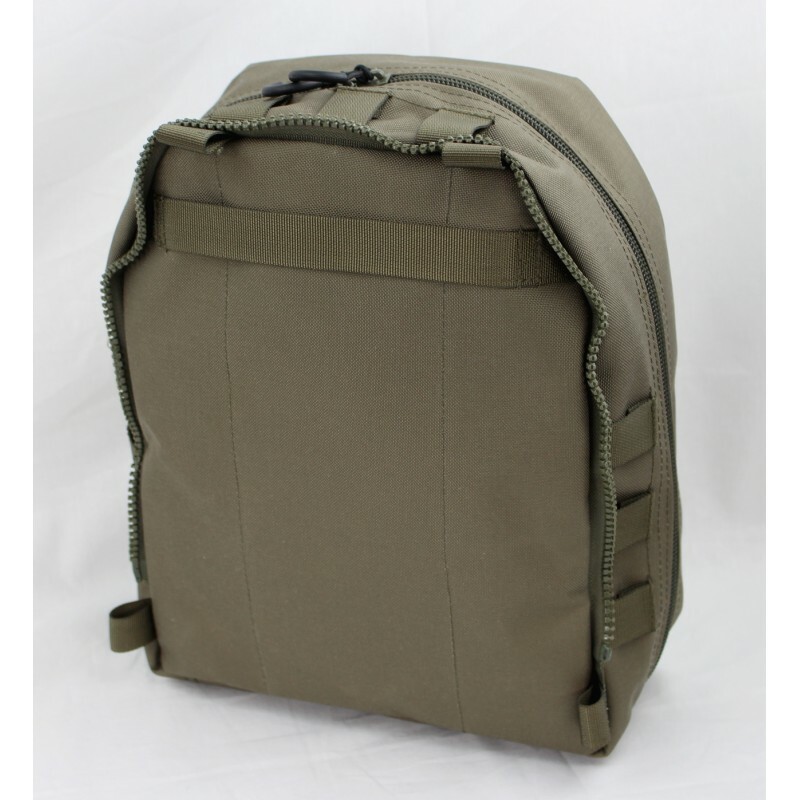 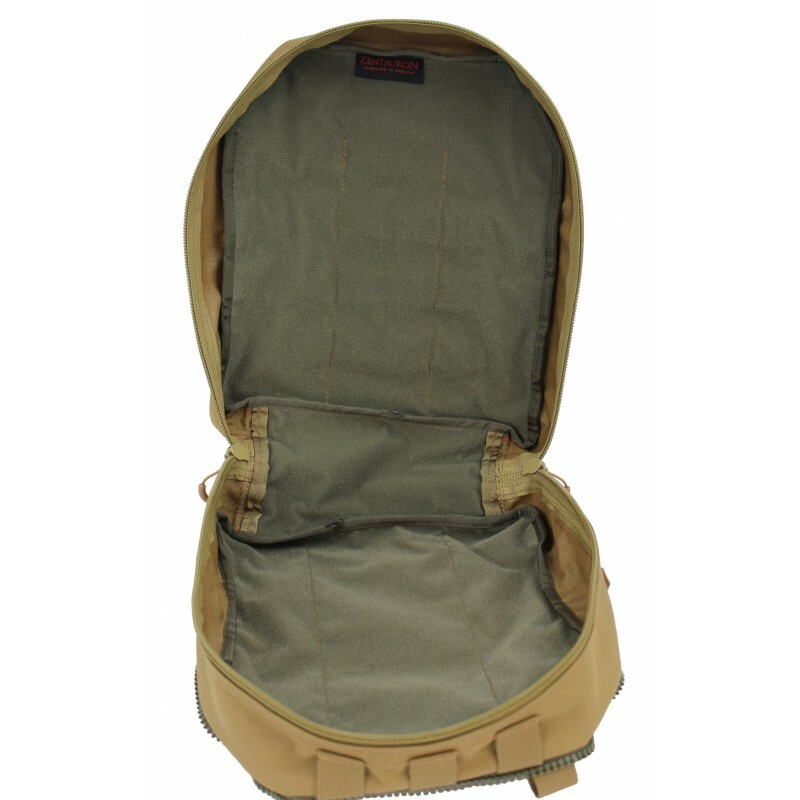 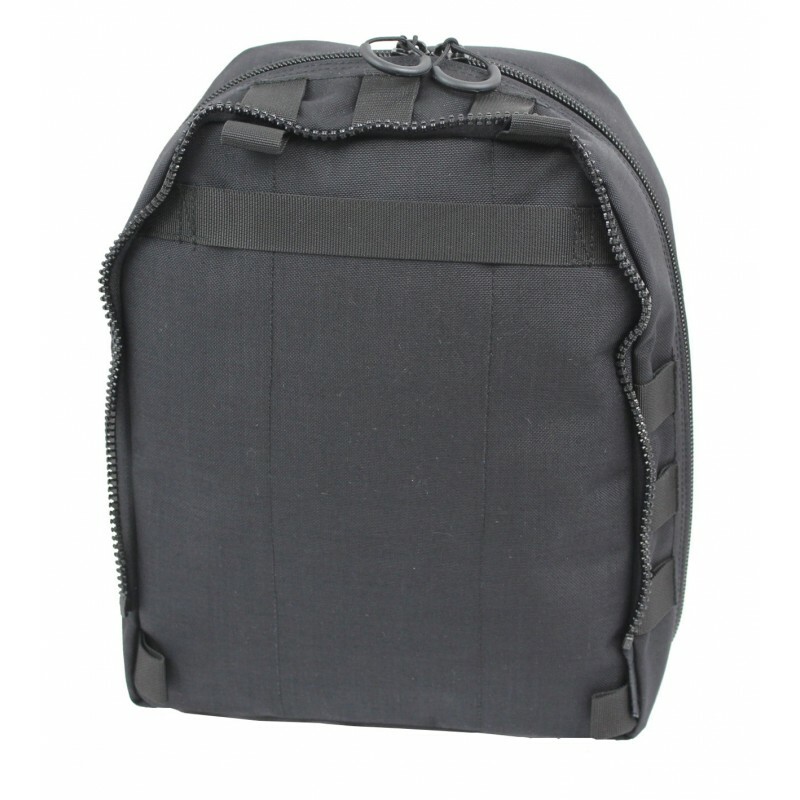 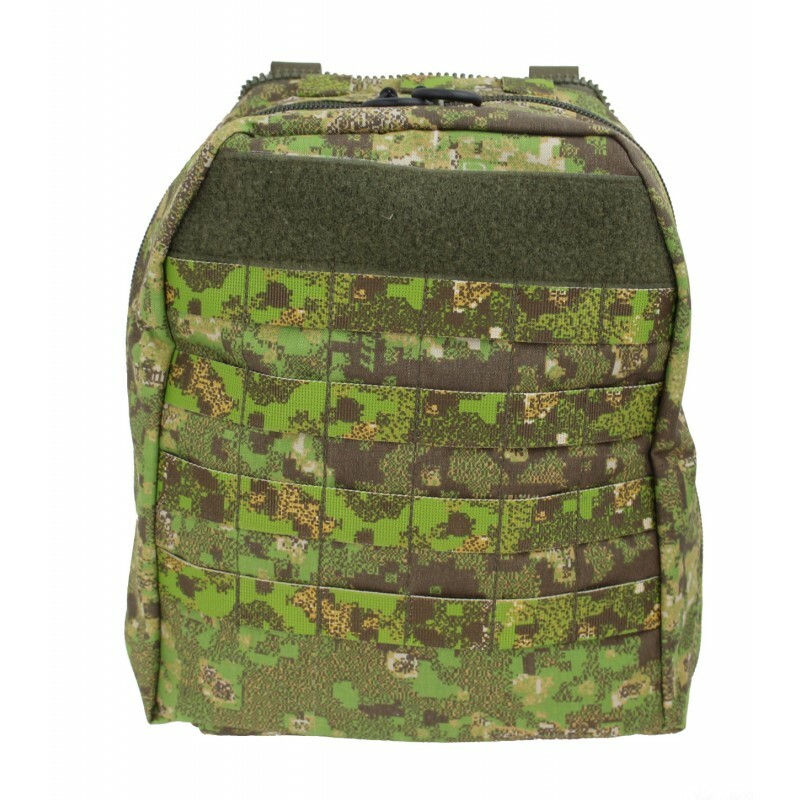 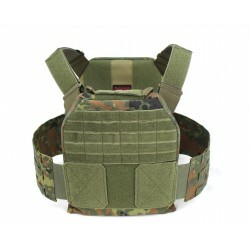 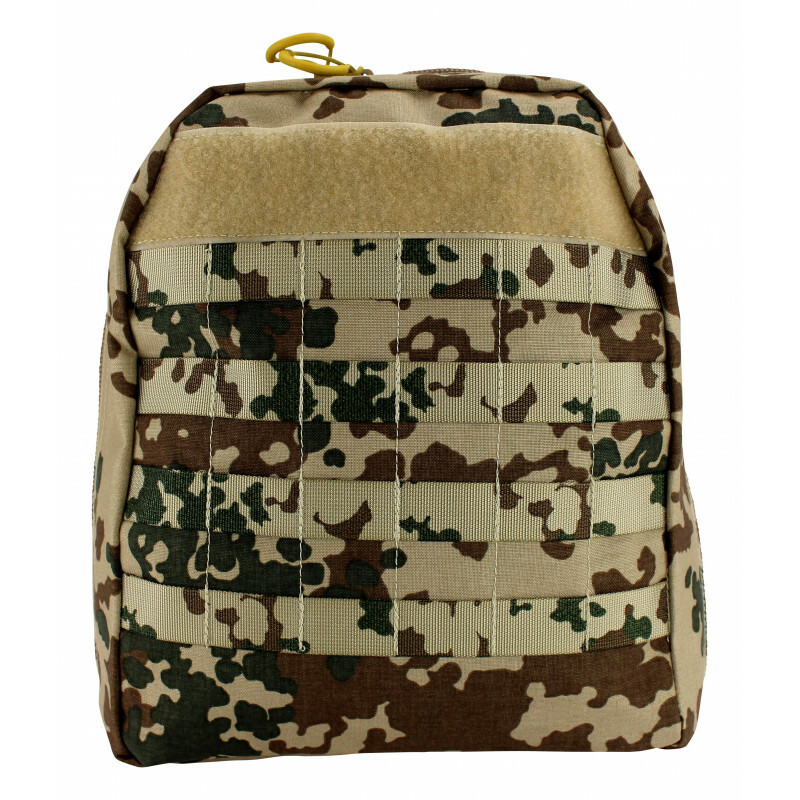 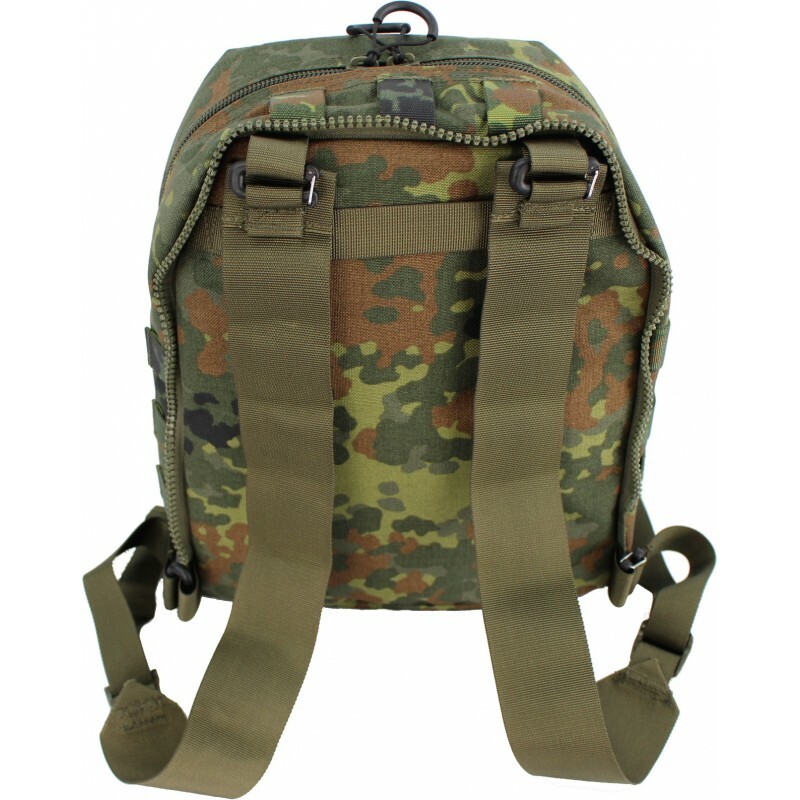 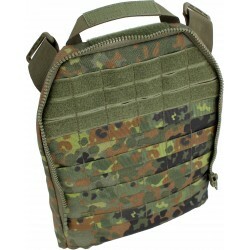 Sides have additional MOLLE loops, can be worn stand-alone as a small backpack. 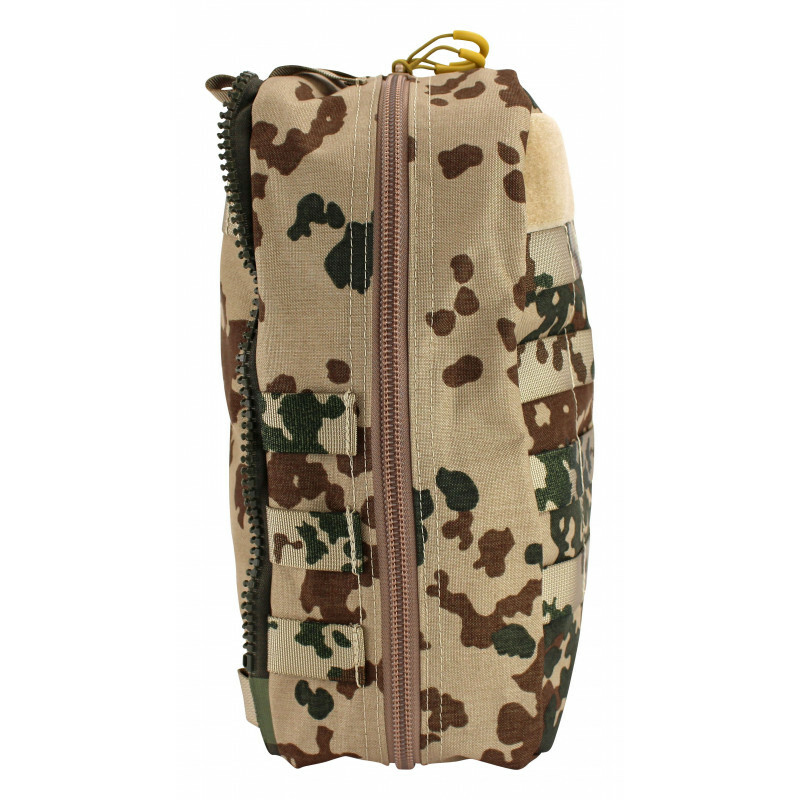 The Vulcan II Storm ZIP Bag SU (Special Use) is specially designed as an extension of our Vulcan system. 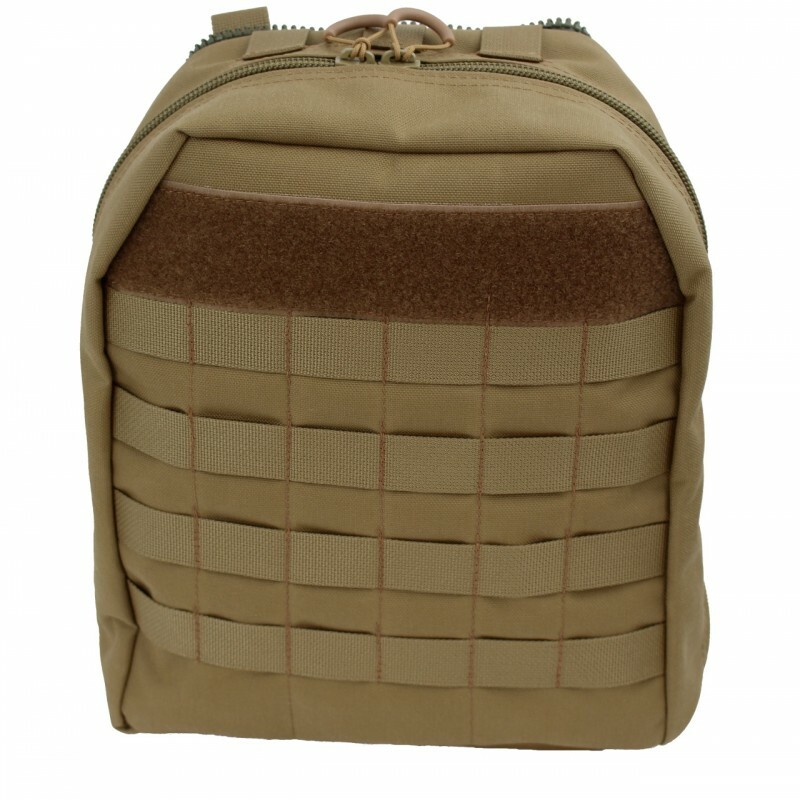 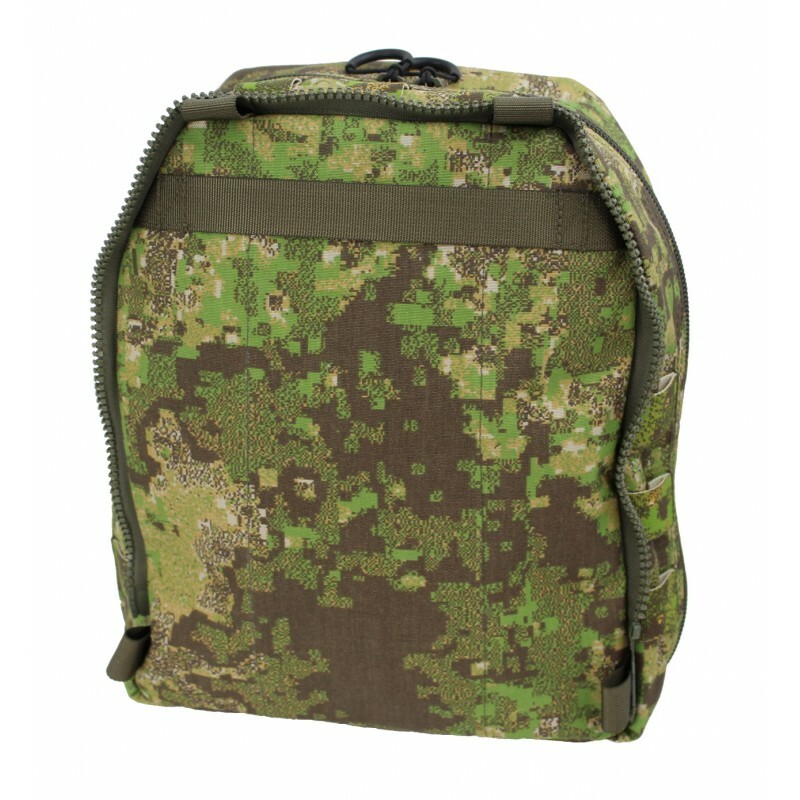 Together with our Vulcan II Rear Panel ZIP is this backpack system unique on the military gear market. 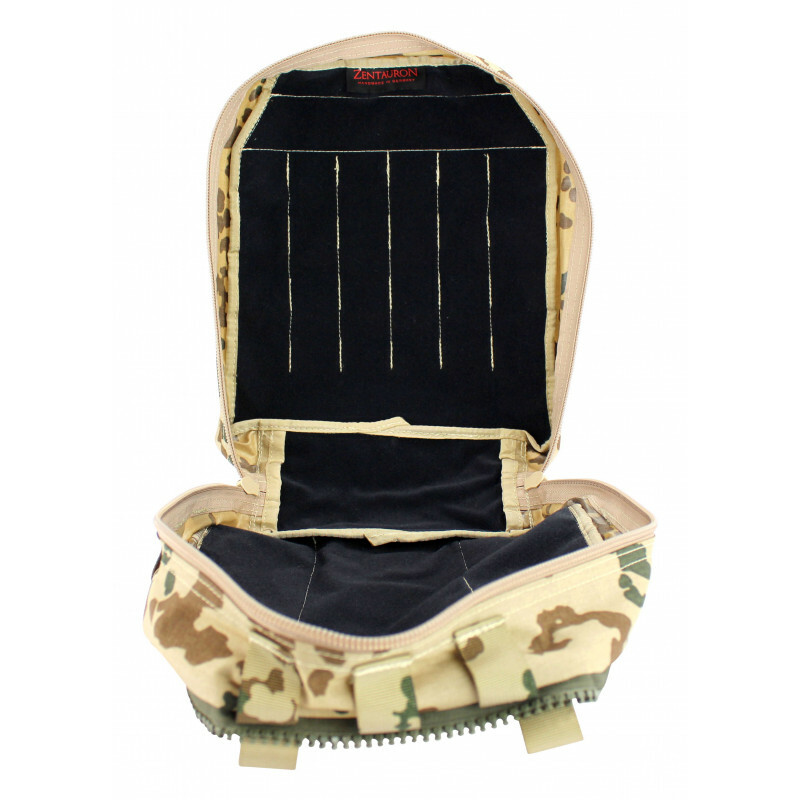 The Storm ZIP Bag SU can be attached in seconds to the plate carrier and taken off even faster by use of our unique quick release. 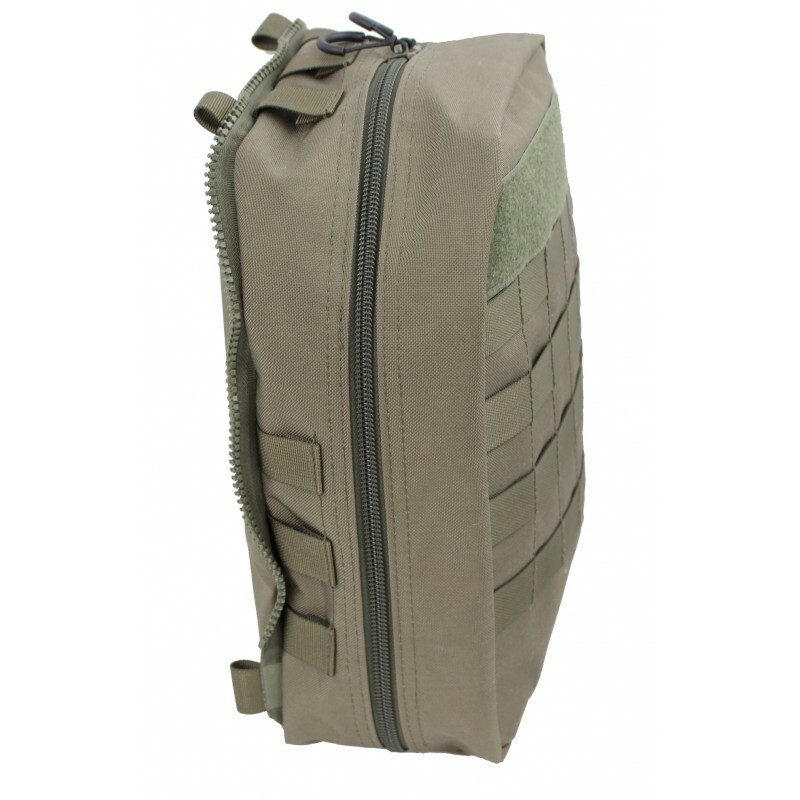 The ZbV storm bag is designed for medics, EOD soldiers, pioneers or anyone, who needs special equipment and tools. 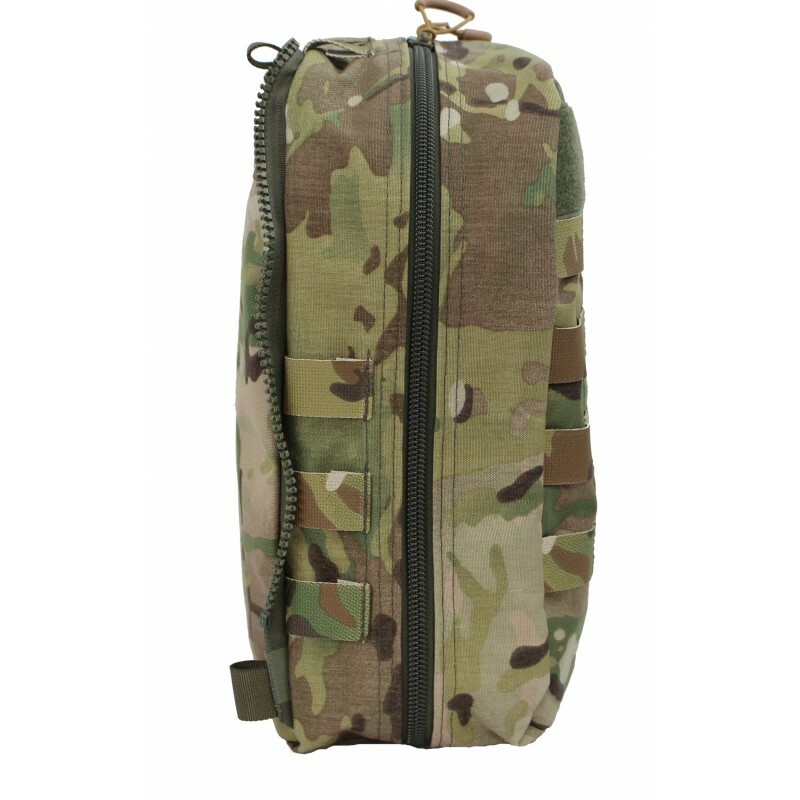 Compared to the Vulcan II Storm ZIP Bag, the Vulcan Storm ZIP Bag SU can be fully opened and is inside completely lined with fleece-velcro, so that the interior can be organized trough different velcro-modules for individual purposes. 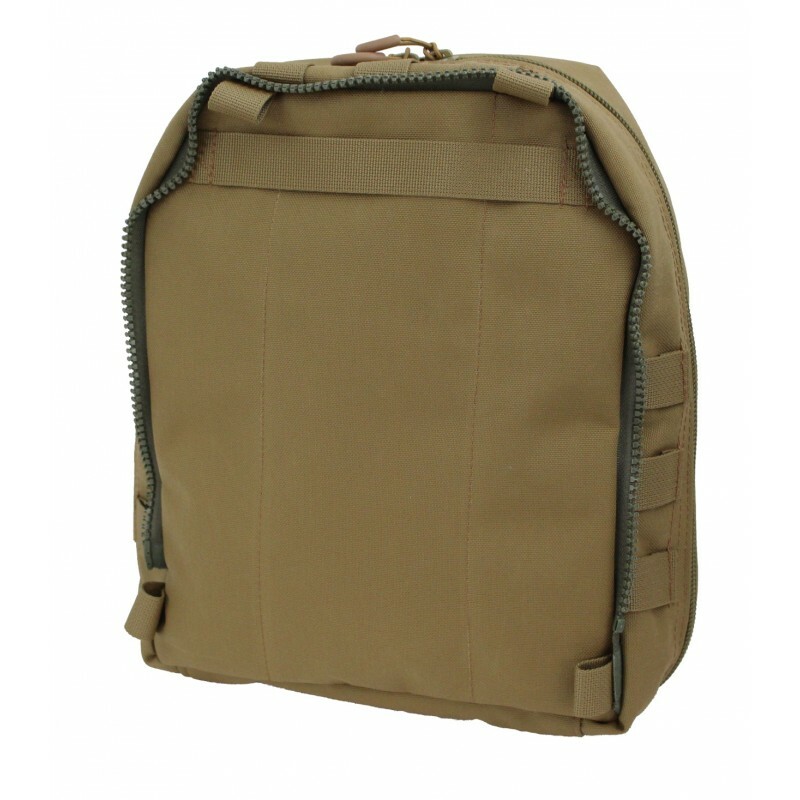 On the outside front and on the sides, modular loops are attached for connection of additional pouches. 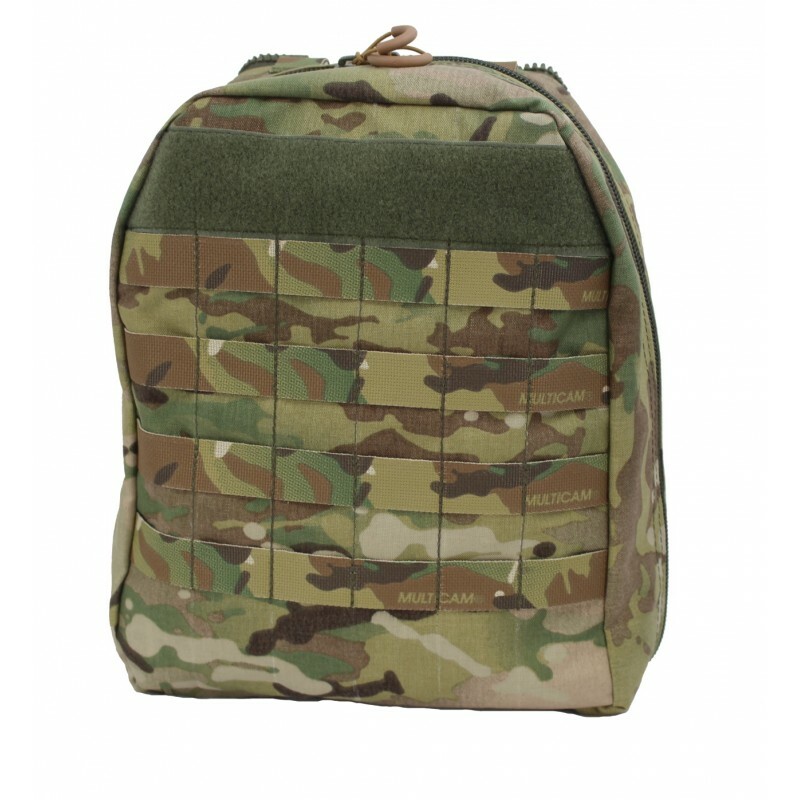 Also a Velcro surface for ID or IR patches is sewn up, backwards. 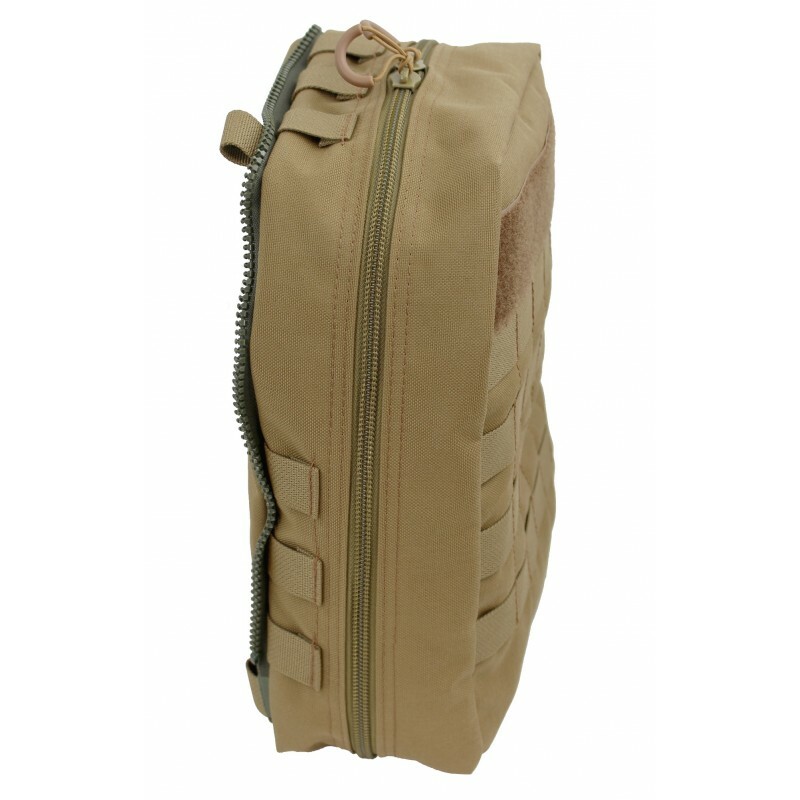 On the back are a carrying handle and four loops, where you can fix our Hydra Shoulder Straps, they are included in our delivery. 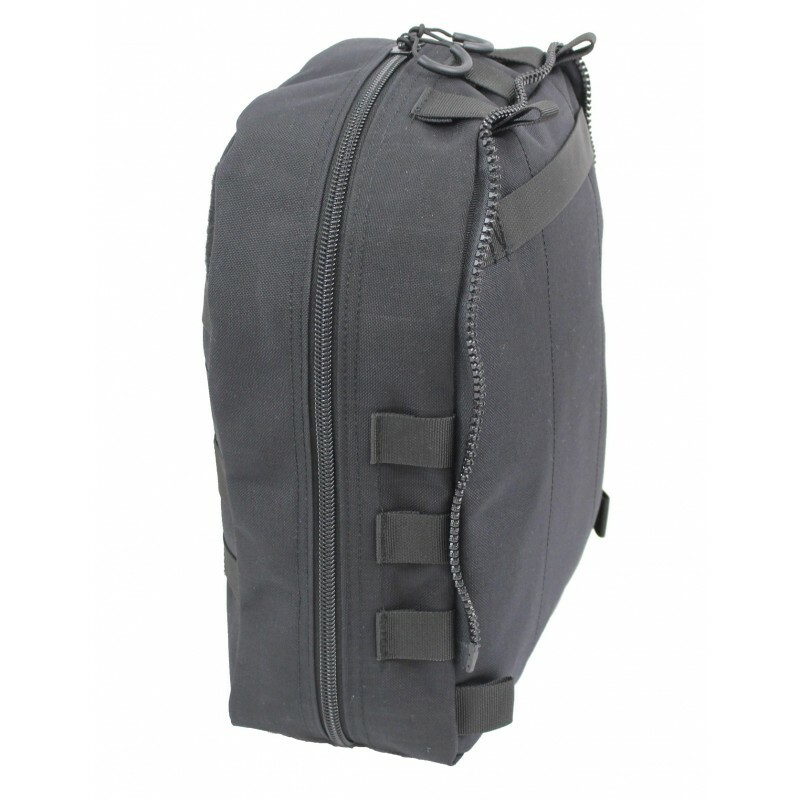 So the Storm ZIP Bag can be worn as a small standalone backpack.